Import your Waves Lite wallet into the new Wagerr wallet. Internal testnet in active development. Try out the new Wagerr wallet for Wagerr-over-Waves tokens. Wagerr is the featured token, making it easy to track your balance and transactions from the front page. Trading Wagerr on the decentralized exchange is also featured. When you import your Waves Lite wallet, your balances and complete transaction history carry over automatically since it's the same blockchain. Download WagerrLiteWallet5.1.zip from the Wagerr Github releases page. Unpack the contents into a familiar location (Note: Remember file location for future updates if you want to keep your account registered with the app). When updates are launched in future you will need to extract the new files in the same location as the previous files as mentioned in Step 2. Then click the “Reload” button in the extensions page. By doing this you will retain all your login information. 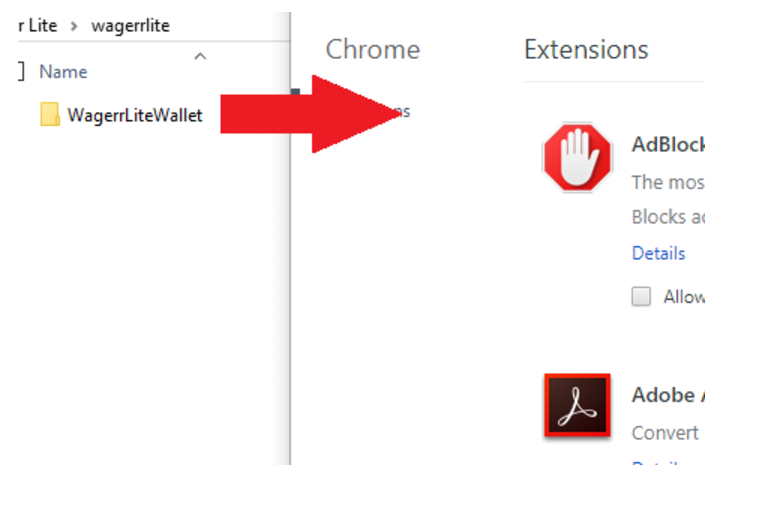 Once you install the extension, import your Waves Lite wallet seed. You will be prompted to supply a new wallet name and password. Be sure to record your credentials securely because anyone who has your credentials can own your wallet. If you haven’t withdrawn your Wagerr tokens from wagerr.com yet, please follow the instructions posted in the Waves Guide. The process to withdraw using the Wagerr branded wallet is the same! Note: Transaction and trade fees must still be paid in Waves denominations. Paying transaction fees in Wagerr is not yet available, because the Waves network intermittently rejects transactions with any token denominated fees other than Waves. In the meantime, you can obtain Waves dust for free from wavesplatformfaucet.com and wavesdrop.com. Source code for the Wagerr Lite wallet will be published on github for transparency, security, and to contribute to the open source community. The internal testnet is under active development. The Wagerr QA testing team surfaced a security vulnerability in the code for how betting transactions are processed. Due to this threat the team is hiring additional blockchain specialists to re-engineer the attack vector before we open the testnet to the public. Eliminating this vulnerability will allow the team to build on top of a secure system so all future betting types will be possible. Starting with a solid foundation is crucial to support all projected developments. We have hired a new developmental project manager to oversee all new hires and coordinate efforts across our entire dev team. We will be releasing an updated timeline for our first open testnet that will be using centralized oracles at the end of this month. Wagerr will be announcing a series of high profile betting opportunities for a variety of sports betting markets. While the blockchain tech is still in development, the team intends to make betting with Wagerr fun for the community. At the same time, these promotional events reach new users and expand the user base. Wagerr is also negotiating sponsorships that will give Wagerr greater visibility. Stay tuned for more chances to win.